Use OPC Server Enterprise to access your historian data through OPC HDA! 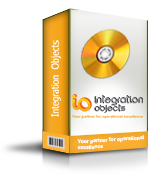 Integration Objects’ OPC HDA Server Enterprise is an OPC compliant Server that provides OPC HDA Clients with full access to data archived in the supported databases. In fact, OPC HDA Clients will be able to read and update data from/to ADO compliant databases. For example, these databases include Oracle, Microsoft SQL Server, Wonderware Historian and Microsoft Access. Consequently, you can have all of your historical process data at your fingertips within a few clicks. 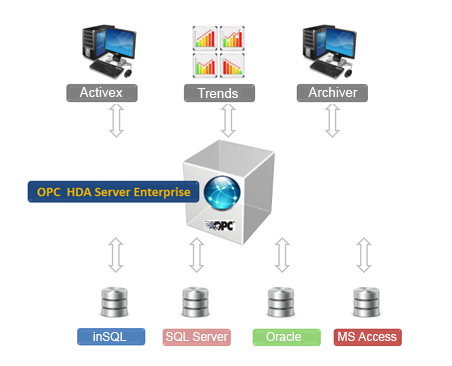 OPC HDA Server Enterprise is a feature component of OPC Driver for Databases. Easily share your historical Oracle data via OPC HDA Server to Oracle!